Louise wanted to pass on some information regarding events and the calendar, so here we go! Players who won a gift of Christmas Future in the Lucky Dip during Christmas events will receive a Virtual Resort on March 1st. There are new badges available for hosting and attending events with over 50, 100, 150, and 200 attendees. Easter events are a great time to get involved and earn them! Coming from player suggestions, our developers have added a “Add to Google Calendar” button to each event on the calendar. Also, there’s now a link to the worldwide events map at the top of the calendar (just underneath the “Munzee Calendar” title). Louise is also working on some new additions for events including more choices for temporary specials and prizes! Rob is in Cocoa Beach, Florida! Flat Robs will be on the map starting today (February 26th) at 10:00 MHQ time through Monday, February 29th at 23:59 MHQ time. There will be also be a limited number of Flat Robs in the Munzee store. To celebrate Leap Day and the opening of Munzee Marketplace- Cocoa Beach, a Munzee event will be hosted in Cocoa Beach, Florida! Check it out on the Munzee calendar, and head to the event if you can! It will be a day long event (from 09:00 ET until sunset) with special icons and a badge! You can follow Munzee Marketplace – Cocoa Beach on Facebook, Twitter, and Instagram. 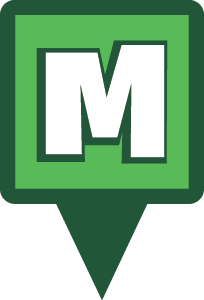 A Meet Munzee Munday to officially intorduce MMCB will be posted on Monday! If you haven’t noticed, we really like the color green. That makes March a pretty good month for us to paint the map green. Along with the Leprechaun’s announced earlier in the week, we’ll also be launching two types of Shamrocks on March 1st. In our search for new Mythological Munzees, we discovered the Shamrock Munzee. Like greenies, the Shamrock Munzees attract the Mythologocial Munzees. Unicorns use them as food, and Leprechaun’s use them to hide. They are, in fact, 17% more likely to attract a Mythological Munzee than a greenie is. So, we’ve decided to share them with everyone. The Shamrock will be worth 17 Capture, Deploy, and CapOn points. These are a new size of skinned, physical munzees. The QR code is the size of the Mini Mysteries, and the full sticker is roughly the size of two Mini Mystery stickers. They will be subject to normal proximity rules. Shamrock Munzees will be in the store from 10:00 MHQ Time on March 1st through 23:59 MHQ Time on March 17th. After then, they will become MunzPak and special release munzees. THEY WILL BE A PERMANENT FIXTURE ON THE MUNZEE MAP. They will be sold in strips of 10 for $10. The Virtual Shamrock is a limited time special. They will be worth 34 points for Capture, Deploy, and CapOn. They also abide by normal proximity rules. Virtual Shamrocks will be in the store during the same times (10:00 MHQ Time, March 1st through 23:59 MHQ Time, March 17th). 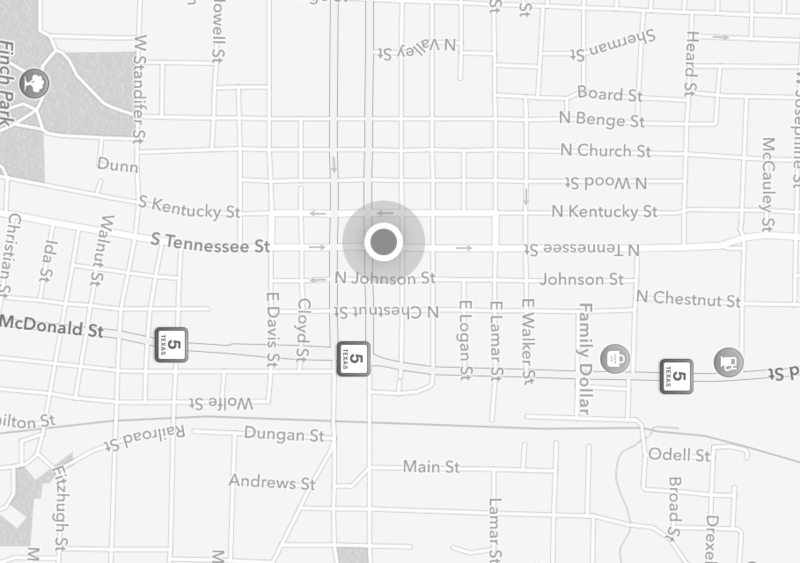 They will stay on the map through April 10th. Virtual Shamrocks will be sold in packs of 4 for $5. Proceeds from the sales of Shamrocks, Virtual Shamrocks, and Leprechauns will benefit Muscular Dystrophy organizations and events, including the Muscular Dystrophy Association. We will be releasing more information about all of the charities soon. As a reminder, Leprechauns will be available as well. For the first six hours (10:00-15:59 MHQ time), only those who DO NOT have a Unicorn will be able to purchase a Leprechaun. At 16:00 MHQ time, the remaining Leprechauns will be available to everyone, including those who do own a Unicorn. There will be a limit of 1 Leprechaun per person. If you attempt to purchase more than one, your account WILL NOT be credited and NO REFUNDS will be given. If this does happen, the money will go straight to the donation amount. Every four years, we get a Leap Day. Last Leap Day, Munzee was still young. A tadpole, if you will. Our game, and company, have grown, though. We often enjoy doing specials, and this leap year happens to fall on the 35th Anniversary of the release of Frogger™. In that spirit, we present our Leap Day Special! From 07:00 CST on February 28th to 07:00 CST on March 1st, every greenie on the map will be an 8-bit themed frog icon. Leap Day is special, though. We’re almost going back in time like we have previous specials. In leap years, Munzee is only 2. Wouldn’t it be wonderful if you could recap all those greenies that have been deployed since the last Leap Year? Well you can! Similar to the BTTF special, you can recap any greenie with a Leap Day icon on it! As with any munzee, you cannot capture one you’ve deployed. These icons will be able to be captured by more than one player so you don’t have to worry about being the first person to capture them. So grab a joystick.. well phone.. and hop on over to start capturing! As Munzee has grown over the years, the game has evolved in so many more ways than any of the co-founders could have imagined. We’ve certainly had our fair share of growing pains, but in its essence Munzee has tried to stick to its core goal of getting people out into the world. No one knows this better than those players who have been with us since the beginning. This week’s Player of the Week is Ade Pitkin (TheMachman). I’m known as The Machman to most, but non Munzee fold still call me Ade. Far, far away in Perth, Western Australia. For those that have never visited our State, please do. It’s a stunning spot with some fantastic places and amazing people. But, you will need to stay a while. Our state is BIG, very BIG (Over 3.5 times the size of Texas)!! Perth is also one of the most remote places on Earth, so driving to cap a cluster in our closest neighbouring city involves a 30 hour non-stop drive each way!!! In fact, our closest neighbours are not even in Australia. Try East TImor or Jakarta in Indonesia. Not known for being Munzee Hot Spots (Not yet, anyway 🙂 ). I read about the game on a GPS forum. Several weeks later, I checked out the map just after it had gone live, but my nearest Munzee to capture was about 3500km away, so I decided to print out a few of my own, warm up the laminator, and take them along to a caching event that weekend. We have a small, but active, group of players here in Perth that have all gone to extraordinary lengths to grow the local map. We host regular events and often catch up whilst out on the trail which makes things a lot of fun. I love travelling and Munzee has also taken me to some fantastic cities both overseas (London, Cologne, Prague) and also within Australia (Melbourne/Sydney). But it’s always the people that have made the difference, both at home and overseas. I have always been welcomed by players wherever I have visited, so thank you to you all. I still have several other cities on my Munzee bucket list to visit, so keep an eye out for me!! I love the fact that Munzee constantly evolves and changes, but I would love to see more recognition for those that still play the core game. We have players from all over the world that have captured tens of thousands of Greens, not for the points, but just for the love of the game and getting out there and being active. Please let’s reward them with some badges for capturing Greens. It’s the bread and butter of our game. I’m married to a very patient lady who puts up with me running out of the house at all hours and also making diversions en-route home to capture bouncing specials and now Unicorns!!! In the end, she got fed up of being a Munzee widow, so she surprised me and signed up for an account herself and now plays along with me during school holidays. Our daughter just thinks I’m nuts!! My other constant Munzee companion is my Cocker Spaniel, Luna. She always escorts me on my Munzee day trips and to events!! I work for local government in a variety of roles, but I’m currently helping out on a few IT projects which is fun and gives me some quality family time, too. I was primarily a cacher in the days before Munzee. I still play, but my find rate has gone down considerably. I still enjoy grabbing the odd smiley whilst out on my Munzee trail. I love the water, and the Perth climate is perfect for it. So if you don’t find me out capping, you’ll find me close to my home at Burns Beach, WA. TheMachman also included some socials (one of which is on the Header Image), so cap away! Our players are the reason for Munzee. You grow the map, introduce new people to the game, and help new players along. While the Munzee staff can explain the technical aspects of the game, it’s you who learn the ins and outs of the gameplay. On more than one occasion, you’ve taught us your tips and tricks. So when it comes to “How To” videos, who better to ask for help than those who’ve made this game their own. We will be launching/updating a “How To” section on our website and YouTube channel. We are seeking video and/or text submissions to be posted on our official pages/websites to help new and veteran users learn about different aspects of the game. Submissions that are used will be credited with the submitting player’s name/username, and they will be rewarded with prizes/items. Text submissions should be 300-1000 words and explain the aspect of gameplay chosen. The submissions should be concise but thorough. Please keep in mind that users may not be familiar with all aspects or terms of the game. The reader should be able to understand what is being described without previous or related knowledge. Video submissions should be between 1-2:30 minutes and uploaded to YouTube. As with text submissions, they should be concise but thorough. Videos can be screen recordings (such as this one), videos of you explaining the aspect, or anything in between. You may submit both video and text for the same submission. If you choose to submit either medium for multiple aspects of the game, please enter them separately so we can keep track of them. Please be aware of language and content of both video and text submissions. Munzee reserves the right to edit either type of submission to reflect our brand more clearly or appropriately. We’ve Lured the Leprechauns Out to Join the Unicorns! Unicorns have been roaming the Munzee map for a few months now, and in that time, we’ve learned a few things. These observations led to the discovery of a new Mythological Munzee, the Leprechaun. The Leprechaun, like the Unicorn, bounces around on greenies every 12 hours or when captured. Points for the Leprechaun are exactly the same as the Unicorn (100 for Capture, Deploy, and CapOn). Each Leprechaun is also numbered. There will be 1000 Leprechauns for sale starting Tuesday, March 1st at 10:00 MHQ time. For the first six hours (10:00-15:59 MHQ time), only those who DO NOT have a Unicorn will be able to purchase a Leprechaun. At 16:00 MHQ time, the remaining Leprechauns will be available to everyone, including those who do own a Unicorn. There will be a limit of 1 Leprechaun per person. If you attempt to purchase more than one, your account WILL NOT be credited and NO REFUNDS will be given. We want to make this as fair as possible and give everyone a chance to own a Mythological Munzee. The Leprechauns will be priced at $20 each and are only available in this limited quantity. Owners will also receive the Leprechaun badge. If you caught last Friday’s videocast, you heard us talk about a lot of other information relating to the Leprechaun. We’ll be announcing those details later this week. Stay tuned, and Munzee on! The Munzee Videocast is back, and this is Episode 40! You can also re-watch the videocast HERE. Blog posts regarding Leap Day, Shamrocks, and Leprechauns will start on Monday, so keep a look out for them! Though we won’t be doing weekly videocasts, we will update you before the next videocast so you can interact with us, ask questions and see us stumble over our words! To learn more follow us on Google +. We’ve also created a NEW WEBPAGE strictly for the Videocast. Here you can watch the past and present podcasts anytime and it also allows downloads to iTunes! If you’d like to subscribe to the Munzee Podcast on iTunes go to File > Subscribe to Podcast > enter http://www.munzeepodcast.com/feed/podcast/. If you want to interact live with the Videocasts and ask questions, you will still need to join us on our Google+ page. Just a reminder: After this Friday (February 19th), we will only be offering generic artwork choices for Easter Events. If you haven’t submitted your artwork, you still have time! If you’re still thinking about hosting an Easter Event, there’s still plenty of time to get events on the calendar! The dates for the Easter Events are Thursday 17th March – Sunday 10th April, and you can check out the original blog post here. Louise is “chuffed with how, as always, players have got on board with the events”. There are almost 50 Easter Events on the calendar, so if you aren’t hosting your own, there are plenty to choose from!